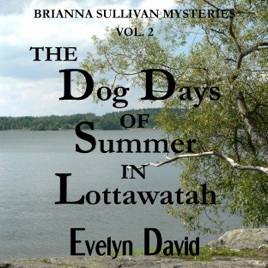 Psychic Brianna Sullivan is back in The Dog Days of Summer in Lottawatah, Volume 2 of the Brianna Sullivan Mysteries. Brianna, still in Lottawattah, Oklahoma, is now being pestered by the ghostly ex-girlfriend of main squeeze, Detective Cooper Jackson. The apparition won't move away from Cooper and towards the light until Brianna figures out who killed her. Volume 2 of the series, a novella, finds Brianna selling lake lots for a new resort, attending her boyfriend's high school class reunion where the guests aren't all of this world, and tracking down a killer - or two. The Dog Days of Summer in Lottawatah has a mystery to die for, characters you'll love, and sparkling dialogue that will make you laugh out loud. Who knew ghosts could have such a good sense of humor?